Struggling with tired skin and lack of firmness? Look no further. “Black Caviar Essential Mask” is the perfect solution to your concern. 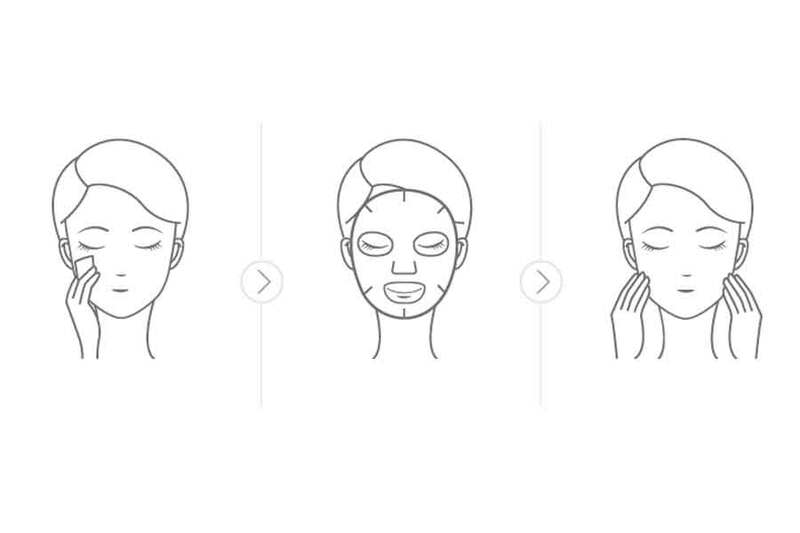 This is produced from Korean brand Neogen Dermalogy. They were among the first to employ botanical and exotic ingredients for their skin applications. This black caviar essential mask contains many damage-fighting ingredients. The main one being… (guess what?) the extracts of Black Caviar aka “Russian Black Gold”. It provides the skin with various and enormous benefits. First of all, it delivers firmness and vitality. Second, it nourishes, and foster galore. Last but to least, it rejuvenates and tightens up sagging and fatigued skin. 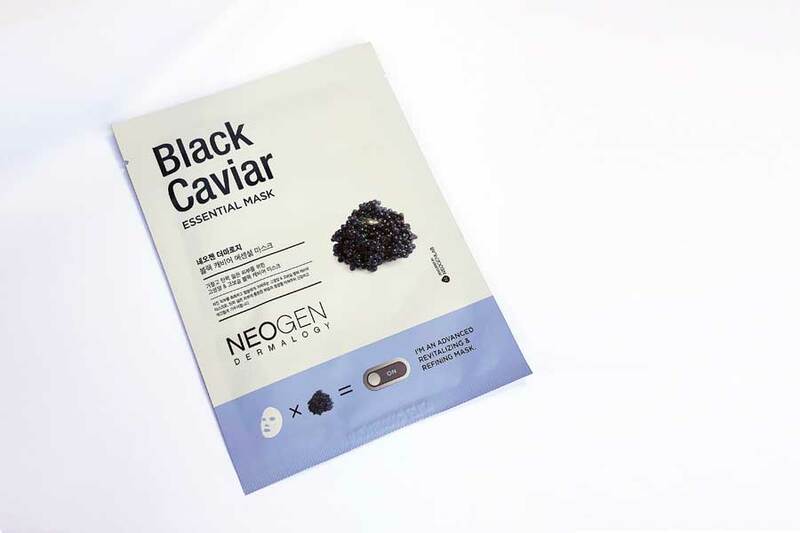 Neogen “Black Caviar Essential Mask” contains Omega 3S as well as Amino Acids that repair a damaged and tired skin. Blueberry extract boost the antioxidant power. It helps to nourish and hydrate the skin. Prepare to deep dive in an unprecedented softness along with a brighter appearance. Ingredients like grape and black sesame extracts will calm irritation and redness. This essential mask helps to improve skin texture and soften the fine lines. But That’s not all. Charcoal extract also deeply cleanse dirt waste materials away. This mask’s 100% natural corn fiber sheet mask provides an enhanced adherence. It’s gentle and safe to use on all skin types. – Cleanse your face and prepare applying toner. – Pull out the mask and apply it on the face. – Remove it after 20 minutes and tap to absorb the remaining essence into the skin. Recommend using 2-3 times a week. 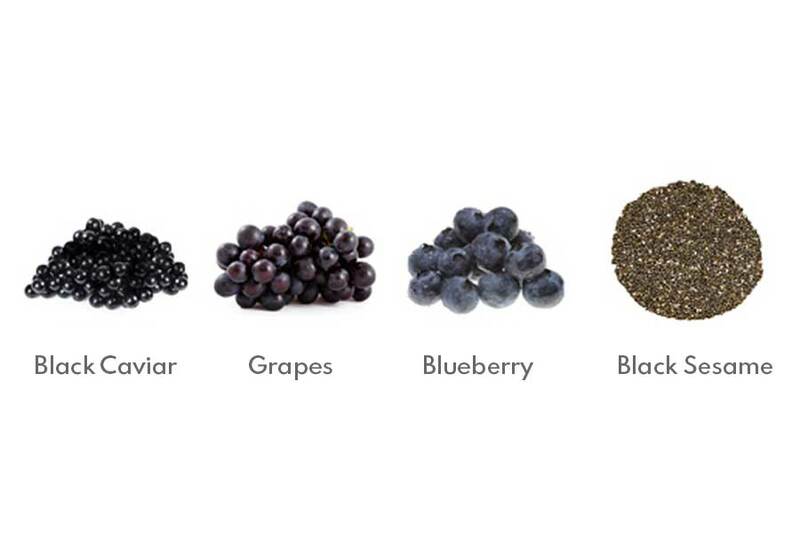 Enjoy the deep nourishing and vitalizing benefit of black caviar. Achieve a younger, healthier and more vitalizing looking complexion with Black Caviar Essential Mask.